From light rail to school buses, connectors for rail and mass transit are enabling cities to relieve traffic congestion, reduce pollution, drive economic growth, and modernize transportation. With many cities embracing light rail, upgraded rail cars and next-generation buses, there are greater opportunities for advanced interconnects in mass transit. 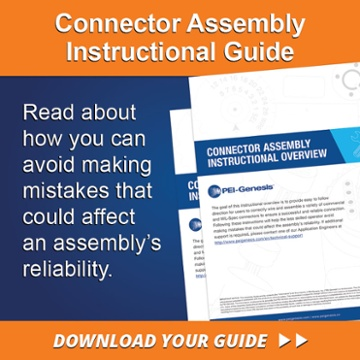 While the federal budget calls for less transportation funding – essentially cutting off subsidies to Amtrak and reducing funds for major projects – most projects that are still underway will continue, Connector Supplier reported. 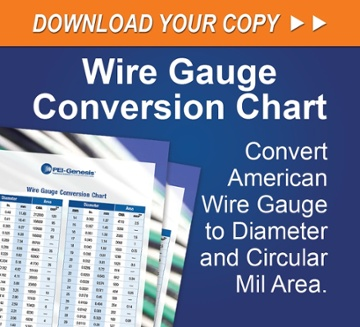 The article cites a study by the U.S. Department of Commerce, the mass transit sector has increased by nearly 20 percent, a trend that touches light rail, buses, and modern street cars, all presenting potential opportunities for makers of standard and specialized connectors. Rail transport from city to city is expanding as well. 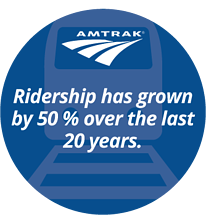 Amtrak has seen its ridership grow by 50 percent to more than 30 million people a year over the last 20 years. Much of it is in the Washington, D.C.-New York-Boston corridor, with another 15 million riders using local/intercity trains in places like Chicago and the busier sections of California. Because many of the cars in Amtrak’s fleet were first produced more than 30 years ago – and by a company that has since filed for bankruptcy – suppliers of advanced interconnects in mass transit can benefit from these increases in ridership. PEI-Genesis assembles a range of connectors for rail and mass transit, all of them RoHS-compliant and fully compliant with all relevant railway standards as well as fire and smoke requirements. We are a reliable resource for leading railway equipment manufacturers, subcontractors and signaling and infrastructure firms. Our railway connector lines include Amphenol, Anderson Power Products, Cinch Connectivity Solutions, Esterline/SOURIAU and ITT Cannon and VEAM, along with TE Connectivity Rachem, and Hellemann Tyton accessories. The rail connectors we offer are used for data transmission along tracks, passenger rolling stock equipment including brakes and controls, signaling systems, and power transmission on trains and track systems. Contact us today to find out how we can help you connect your next mass transit project.